The last Marin beer I had I really did not enjoy. It's not that it wasn't a quality beer, just an overly sweet triple hefeweizen. This time around, I did enjoy their offering, although I felt it was a bit basic. That makes sense though, considering this is a Belgian style tripel at a ridiculously cheap $4 price point. And although it's very drinkable, it kinda tasted cheap. But I still found myself enjoying the experience. It's a tad lighter than most tripels I've come across, and definitely filtered. Looks more like a hefty blond as a result. It's slightly sweet on the finish, which I didn't mind. Overall: decent offering at a great price. 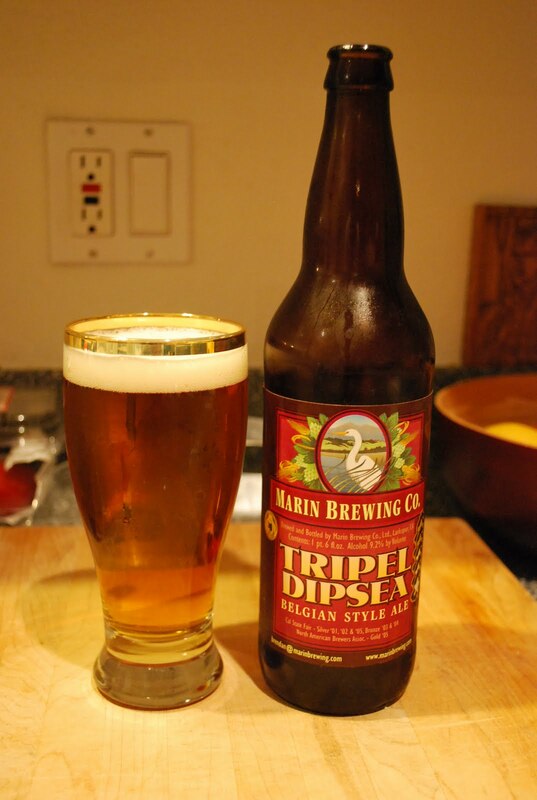 Oh, and good job Marin on a proper back label; it was actually informative. See Andy, I really do love semicolons.